Some of Valletta’s streets are steep and stepped and a very few of the pavements may be that little bit dodgy too. The temptation to look down and watch your step is admittedly there. But don’t. Valletta just demands that you look up beyond street level. Valletta – Malta’s capital and European City of Culture for 2018 – can easily be described as an outdoor showcase – the art is definitely not restricted to the museums. There are the lovely church facades, and with most of the churches not having the luxury of a piazza in a city primarily built with defensive purposes in mind, some craning of the neck muscles is required. Valletta has a good number of street corner niches and statues usually also that little bit above eye level. Corner niches were mandatory at the time the city was built and most of them are still extant. Some of them are quite exceptionally beautiful too. Then there are the balconies of course. 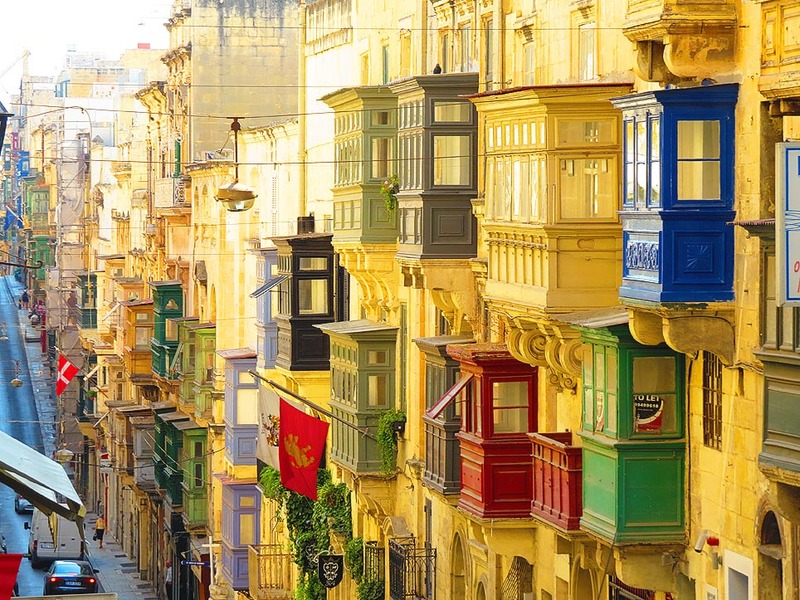 Valletta has a wealth of them – Saint Paul’s street holding a colourful variety as regards both shapes and colours. The Grand Master’s Palace in Republic Street has the largest of them all with some sumptuous carving on the stone supports – and yes you have to remember to look up for that too! 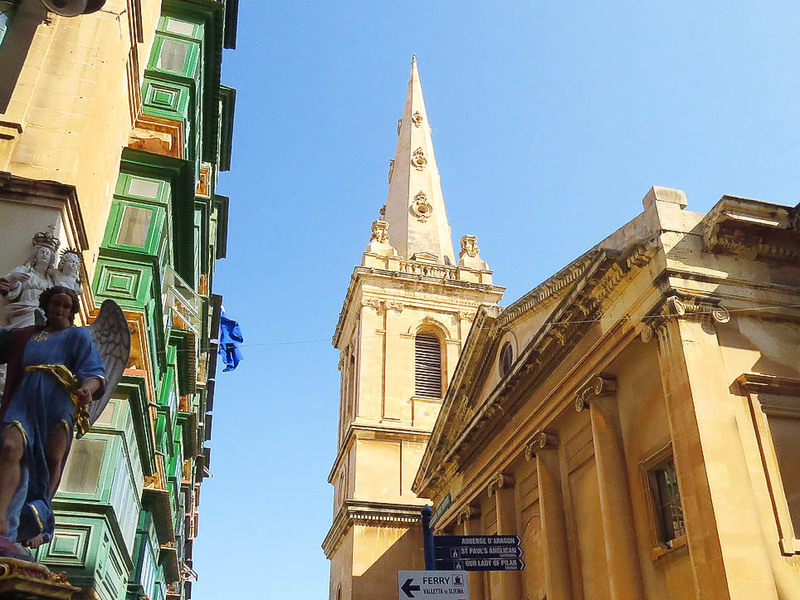 Valletta has two tall landmarks to look up to. The huge dome of the Carmelites church is visible enough from parts of the city but from nearby narrow streets can also be easily blotted out. It’s worth a look inside too. The bare stone dome is quite impressive and the church is normally open. So is the nearby Saint Paul’s Anglican Cathedral which is actually one of three cathedrals of the Anglican diocese of Gibraltar (nowadays called the Diocese in Europe – with two other cathedrals in Brussels and of course Gibraltar). The cathedral’s slim spire was ironically the prime landmark in a city full of Catholic churches until some decades back – the nearby dome completed in the 80’s struck a sort of denominational balance! Of interest but more difficult to spot are a number of plaques on buildings recalling noteworthy figures who lived in the city. 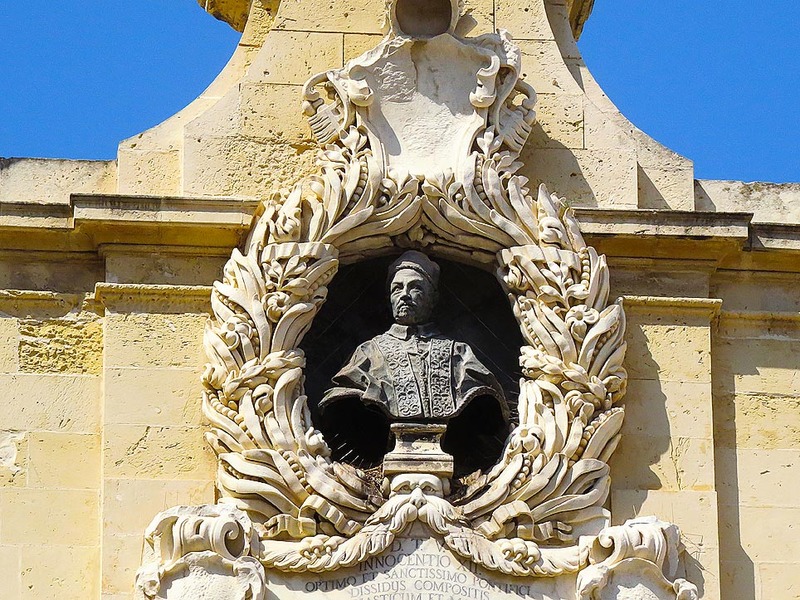 The most significant is the one on Palazzo Parisio in Merchants Street (nowadays the Ministry of Foreign Affairs) and recalls Napoleon Bonaparte’s stay in the palace during seven eventful days in the history of Malta in 1798. More easy to overlook is the commemorative plaque that recalls the English poet and writer Samuel Taylor Coleridge who worked for about a year in the building that is now the Casino Maltese on Republic Street. Coleridge was for a time Acting Public Secretary of Malta under its first Commissioner, Alexander Ball. Rise above street level…keep looking up. Keep discovering more of Valletta.